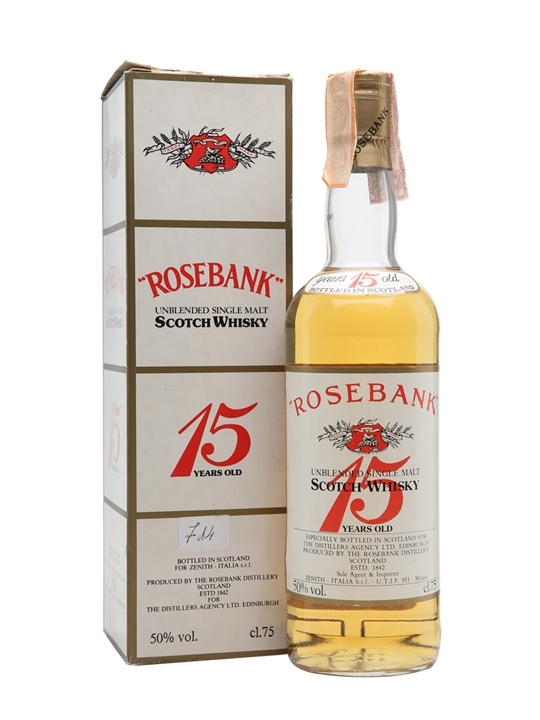 75cl / 50% / Distillery Bottling – A very rare official bottling of Rosebank, this high-strength 15yo dates from the 1980s (when the distillery was still open) and has a wonderful old-fashioned steely austerity uncharacteristic for such a relatively easy-going spirit. Water reveals a bitter lemon and other tangy citrus notes. A classic of this ‘pure’ style.